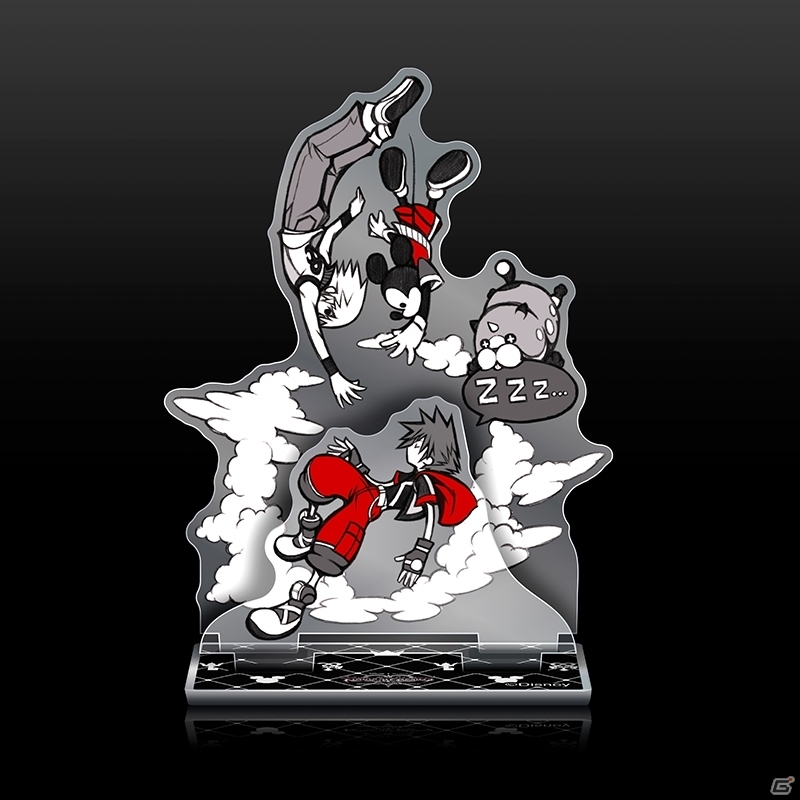 News ► KINGDOM HEARTS 2.8 Japan Preorder Bonuses! 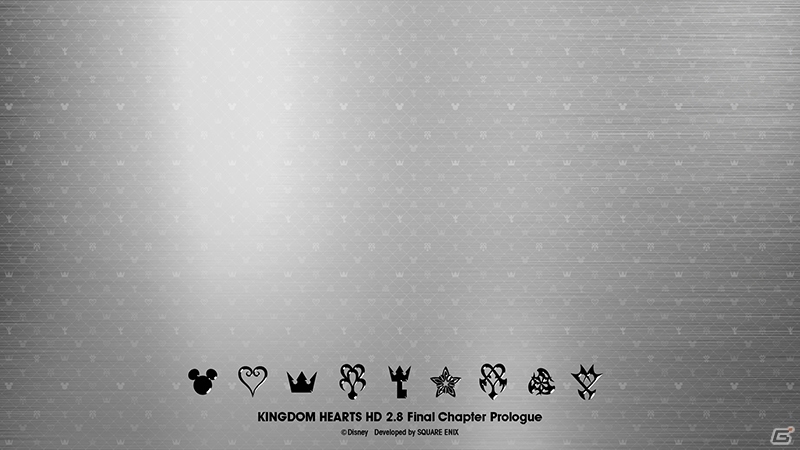 The KINGDOM HEARTS HD 2.8 ReMIX -Final Chapter Prologue- preorder bonuses for Japan have just been revealed through the official website! 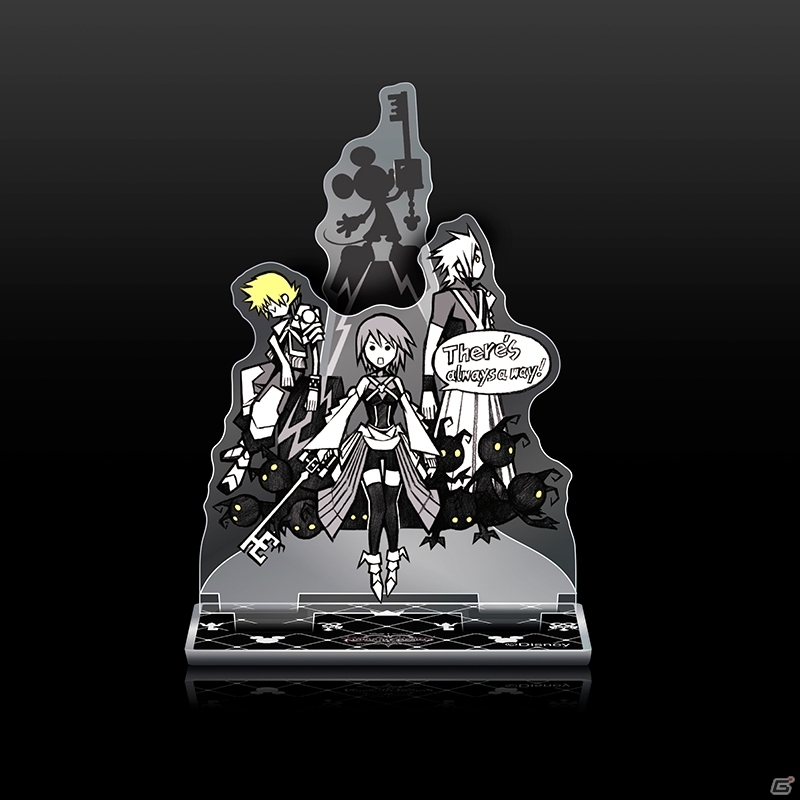 Fans who preorder physical copies at participating retailers will be able to get 1 of 3 available mini acrylic stands featuring an illustration by Series Director Tetsuya Nomura! Those who preorder from Amazon Japan will receive an exclusive PS4 theme that features a sleek metallic background emblazoned with various emblems. Amazon will also have limited quantities of the mini acrylic stands. And those who preorder from the Playstation Store will receive an exclusive PS4 theme as well, which sports cute custom icons with a monogram pattern. This also indicates that KINGDOM HEARTS 2.8 is the first game in the series to be available digitally. Preorders through the PS Store will open up in mid-November. Fans who preorder physical copies online or at participating retailers will be able to get 1 of 3 available mini acrylic stands featuring an illustration by Series Director Tetsuya Nomura! For a split second I considered actually getting three copies but even then I wouldn't be guaranteed to get them all. I also want both of those themes as well. Why they gotta do this to me? Those stands are the cutest freaking thing like??? Wtf, okay, so yeah now I am jumping on the disappointed in the pin train. Though these could be available in some other way to us...maybe. Hopefully. DO YOU KNOW HOW MY HEART WOULD BE CRUSHED?! Damn, Japan is always getting all the good stuff, man. Hopefully there's a bigger collector's edition for 2.8 at some point in the future, so we can maybe have some cooler stuff like this included. Hoping we get a repeat of the 2.5 scenario where there's the free pin version and then the more expensive collector's edition. Gosh, these looks so nice. I hope we might get them someday too. I like how diverse Nomura can be with his art. Capable of doing really sharp and detailed works, and the other hand these more cute, simpler ones. Anybody know what that symbol is on the silver PS4 pic thats second from the right? It's Guilt from the games Chi/Unchained! 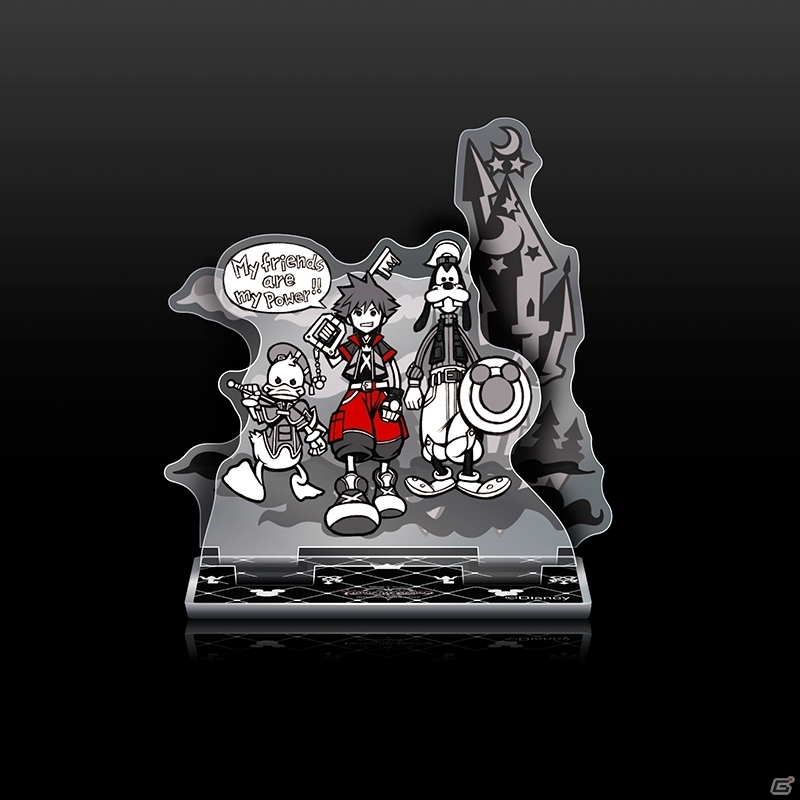 That's King Mickey in his iconic Kingdom Key D pose from the end of KH1. That never happened in BBS. No Foreteller/Chirithy stand, I am disappoint. It didn't happen in BBS, but it might happen in 0.2! I adore both DDD ones but I feel the same. There should have definitely been one to rep Back Cover. Sorry, but I need all the stands. Please make them available in Europe. Thanks. EDIT: This actually makes me upset over the pin. We got this while Japan got that. I want all the things. Not getting the sweet black theme with a physical preorder would be semi-depressing though. Seems pretty unanimous that this is a better preorder bonus than the pin. They look awesome! 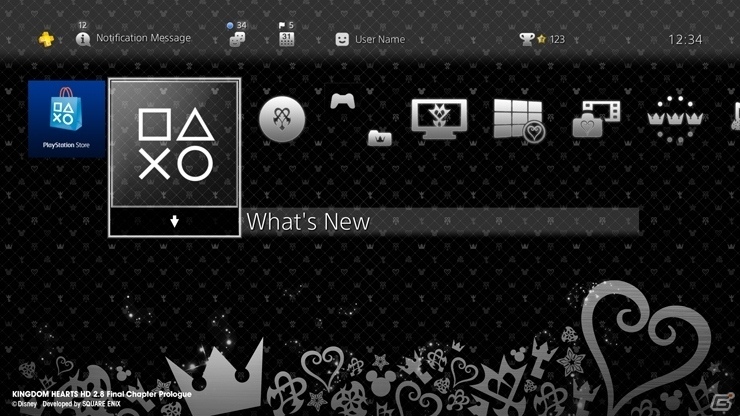 I would think it'd be easy share the PS4 theme with everyone, but whatever. Here's to hoping on that. Anyway, I'd love to have some posters for those acrylic images. Hard to choose which artwork I like best. 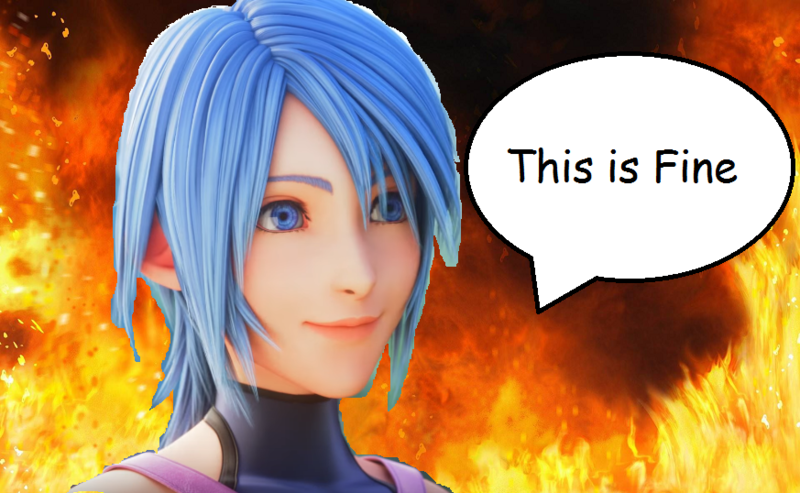 It's a tie between Aqua and Sora sleeping.